One distinction our city recently earned wasn’t one to brag about: We finished last in this year’s American Fitness Index, which measures the health and well-being of the 50 largest metropolitan cities in the United States. We are now known as the fattest city in America. This title contradicts what so many of us know about the city we call home—a place where biking, hiking, farm fresh foods and great fitness resources are plentiful. The truth is, we have the tools to turn this unfortunate ranking around. We must build a collective mindset where all of our health, fitness, and well-being companies become as much a part of our lifestyle as our restaurants and sports teams. Step one is finding a fitness style that truly fits where you are with your personal goals and how you live. The guide below should help promote positive health outcomes for yourself and those you care about. Let it be a first step in our mission to go from fattest to fittest. What to expect: ProFormance Pilates offers a series of exercises focused on creating lean, long, and strong muscles. Beginning with breathing and focusing on core work, Pilates incorporates strengthening, mobility, and stability into every exercise utilizing specialized equipment such as the cadillac, reformer, pilates chair, arc barrels, rings and circles. Goal: Improved core strength and stability; posture and balance; flexibility; prevention and treatment of back pain. Fitness Level: Beginner, intermediate, and advanced level classes are available. Perfect for: People wanting long, strong muscles and a leaner look and also a reduction of back pain.. The Pilates team will help you improve your core strength, develop a flat tummy, and improve your posture. 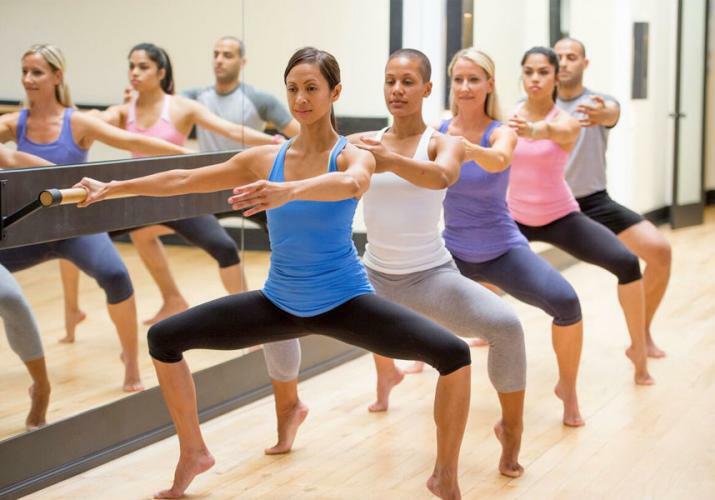 Caveat: “Our workouts leave you feeling relaxed, energized, taller, and stronger” says Pilates Director, Nancy Carrol. What to expect: 502Power Yoga is Louisville’s first yoga studio dedicated to teaching Hot Power Vinyasa Yoga inspired by the Baptiste Yoga Method. Open seven days a week with 60 classes a week. Reservations required. Goal: To empower people to transform their bodies, minds, and lives one breath and one pose at a time. “We are about sweat, fun, possibility, strength, flexibility and flow” says, Sarah Smith, owner of 502PowerYoga. Fitness Level: Classes are offered to accommodate all fitness levels. Perfect for: Anyone wanting to increase strength and flexibility. Caveats: You will become part of a great yoga community whose mission is to help you become your best self. What to expect: Fifty-minute indoor cycling classes in a state-of-the-art theater that pumps music and cool air. They’re led by a Cyclestar who is part DJ, motivator and coach. They utilize 50 Schwinn Carbon Blue bikes equipped with computers that track your distance and calories burned based on your speed, power, gender, age, weight and height. These stats are tracked for every ride and emailed to you after class, along with the downloadable playlist you heard. Goal: The main focus is zero-impact cardiovascular exercise that helps develop muscular strength and muscular endurance. Perfect for: Anyone who’s joints don’t love to be pounded on day in, day out. For anyone who likes to get lost in the music and burn 600-1000 calories. Fitness level: This is a good fit for every fitness level because each rider is completely in charge of the resistance they put on their wheel. Caveat: CycleBar is truly a community. “We workout hard together, have fun, and we raise money for local charities through our Cyclegive rides,” says Katie Ryser. 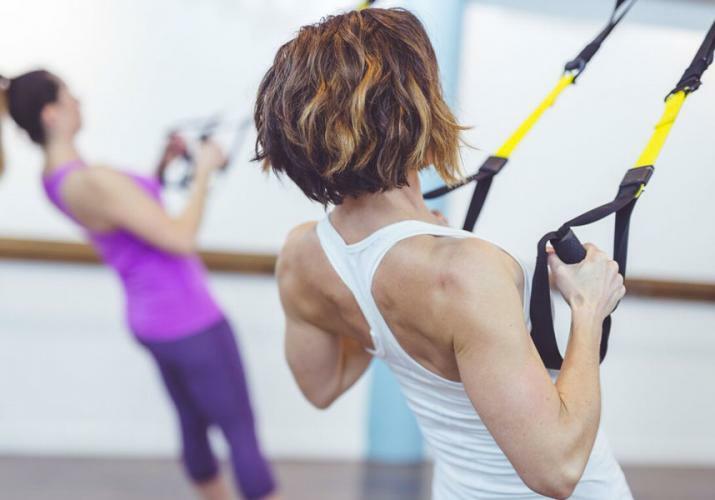 What to Expect:Offered at most fitness facilities, suspension training is a method of training that uses bodyweight and gravity for a full-body workout. Goal: Suspension training works your entire body. Most exercises work multiple muscles at once, especially your core. The unique combination of resistance training, muscular balance, mobility, stability, and core strength gives you an effective workout in less time. Perfect for: Anyone wanting a great, full-body workout in less time. Caveats: Be sure to work with a TRX certified Personal Trainer when you start your suspension training program. Quality of movement is the most important factor. What to Expect: Each fifty-five class begins with a warm-up in the center of the room, on the floor, followed by standing with light weights to work upper body muscles. You will move to the barre to work your thighs and glutes. After the glutes work, you’ll do a series of ab exercises, followed by a cool down. Goal: Pure Barre is a total body workout that utilizes the ballet barre to perform small, isometric movements which burn fat, sculpt muscles and create long, lean physiques. Perfect for: Anyone wanting to work out as part of a greater fitness community would enjoy Pure Barre. Classes include all shapes, sizes and ages. Fitness Level: Classes are designed to accommodate all fitness levels. The instructors are highly encouraging. Caveat: While the flow of class is always the same, the instructor is always changing the music and exercises, so you’ll never experience the same class twice.